Electrical installations can deteriorate with age and use. It is recommended that electrical installations are inspected and tested periodically as appropriate to their use and environment to verify compliance with the National Rules for Electrical Installations – ET101. Please be mindful that a Periodic Inspection Report (PIR) is a report and not a Completion Certificate. A PIR is intended to identify the condition of an electrical installation, be it good or bad. Registered Electrical Contractors (RECs) shall carry out periodic inspection and testing in line with the National Rules for Electrical Installations. 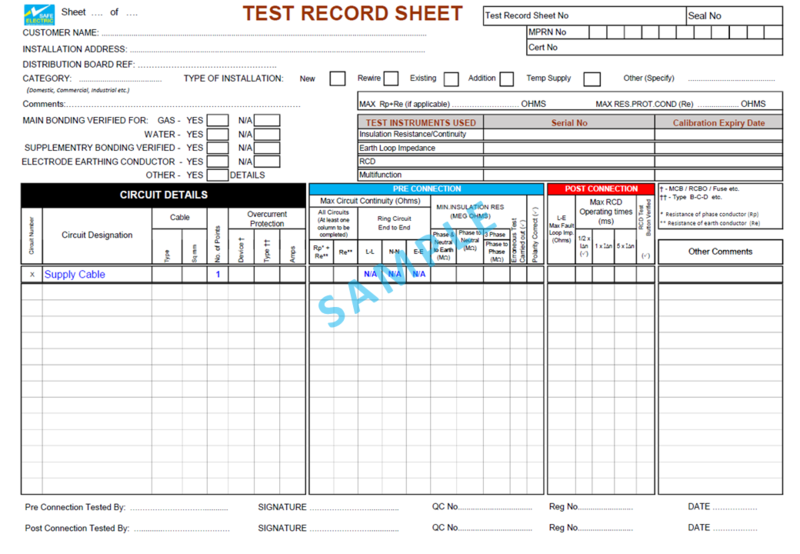 The REC must provide a copy of their PIR accompanied with the completed Test Record Sheet to their customer and explain the next steps required of the customer to bring the installation in line with the relevant standards. The comments/remedial work section shall outline any breach identified and give a recommendation to resolve the breach. All defects, damage, deterioration of equipment or wiring, and the potential hazards from any non-compliance with the National Rules for Electrical Installations. Recommendations for necessary consequential remedial works. The REC shall use the numbering system (1-4 below) to indicate to the person(s) responsible for the electrical installation the recommended action to be taken. Does not comply with the current National Rules for Electrical Installations*. * A non-compliance with the current National Rules for Electrical Installations does not necessarily imply that the installation inspected is unsafe. The REC shall issue the original white copy of the PIR and of the Test Record Sheet to the person responsible for the electrical installation. Where a REC identifies serious defects in an electrical installation, a Notice of Potential Hazard (NoHz) should also be issued to the person responsible for the electrical installation. The frequency of periodic inspection and testing shall be determined by the type of installation, its use, the frequency of maintenance and the external influences to which it is subjected. The Health and Safety Authority (HSA) has published guidance notes on Periodic Inspection and Testing of Electrical Installations, with suggested time periods between inspection and testing for various workplaces and residential accommodation (on Page 4 of 7).